Your chance to sit down and discuss your own self build ideas with experienced Architects, Architectural Technicians and Designers. These FREE 1:2:1 sessions are very popular so arrive early to avoid disappointment. Join Scotframe at midday on Friday for the official cutting of the ribbon to open their new show home and enjoy a tour of the house with a special launch party cup cake! Scotframe supply more timber frame kit packages to Self Builders in the UK than any other manufacturer and their brand new show house will be open throughout the show. Each day we will be running two different ‘Soapbox Talk’ sessions where 5 exhibitors will have just 4 minutes to introduce themselves and explain who they are, what they do and why their product or service might be useful for your project! These professionally hosted, quick-fire sessions, will be a fun and exciting way to meet a number of self build specialists in a short time and help you build your knowledge during the show. Question Time: Battle of the Building Systems! Hosted by the Self Build Course presenter, Mike Hardwick, our ‘Battle of the Building Systems’ panel discussion introduces you to several super-structure options including Timber Frame, ICF, Oak Frame, Passivhaus, Pre-fabricated panels, Masonry, Straw Bale and more. Hear the benefits of each system from our panel of experts and then join Mike as he takes your questions to identify which is best for your build! Family friendly hands on session! 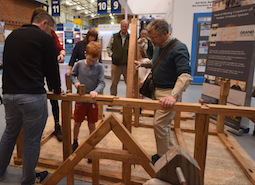 Join the team from Carpenter Oak as they encourage children to help erect a scale-model oak frame house combining traditional methods with the latest techniques. Watch the latest technologies and building systems being tested in the round during our engaging live practical demonstrations. For most people getting their finances in order is an important starting point for their self build project. BuildStore will explain how to find the right solution for you. 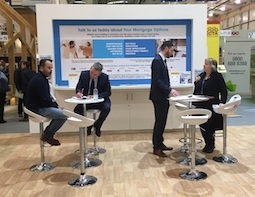 You can meet the BuildStore team on their hub during the show and they can also help you with finding land, site insurance, structural warranty and project management. 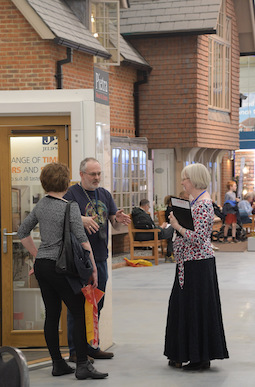 One of the highlights of the National Self Build & Renovation Show is the opportunity to take a FREE guided tour of both our ‘New Build Journey’ and the ‘Renovation House’. These hour long tours with an NSBRC Expert always prove very popular – book early to ensure you don’t miss out!